A beautiful addition to our large selection of antique beds. This elegant and decoratively carved red walnut bed features a beautiful patina. 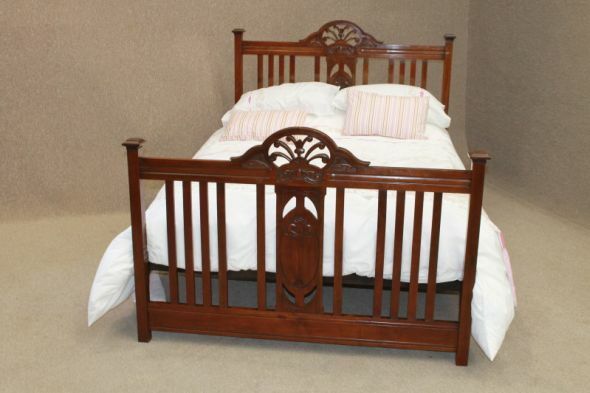 The bed is in lovely condition for its age, and comes complete with a newly made pine bed base. An ideal bed as a stand-alone piece, or to match up with existing bedroom furniture.